Big thanks to Martha here. 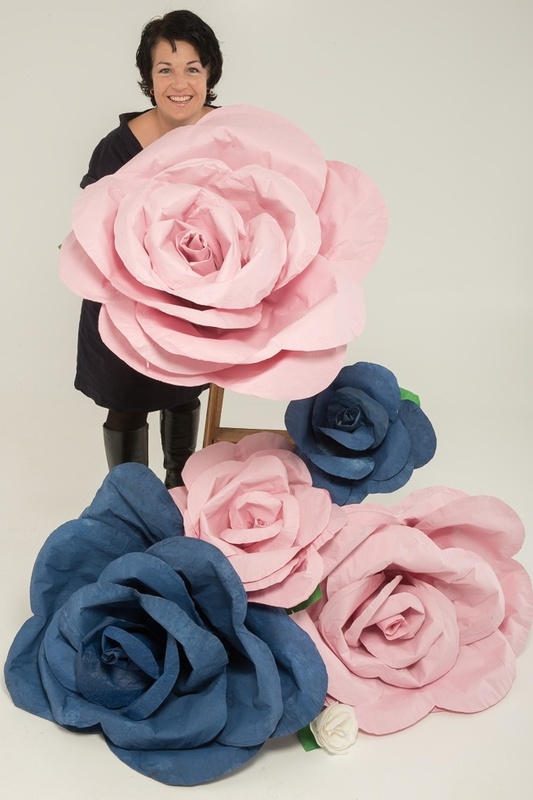 Commissioned to make some giant roses for a shop window display, I found her ‘how to’ video a really good place to start. I used a textured florists paper that I dyed and painted to get the desired shades. Because my roses were so large I used a double thickness of paper for each petal, and reinforced the larger ones by taping wire to the outside edge.